The simplification of Indian laws and regulations towards ease of doing business has drawn "significant" interest from Chinese companies to make investments in the country, China's former Vice Foreign Minister Lu Xinhua said on Wednesday. "The interest of Chinese companies in investing in India has enhanced significantly following the simplification of laws and regulations and the Indian government's determined stance to attract foreign direct investment (FDI)," Lu Xinhua said. He was addressing the China-India business meeting for investment and trade organised by industry lobby Federation of Indian Chambers of Commerce and Industry (Ficci) in association with the Embassy of China in India. "With globalisation, China and India have emerged as two attractive destinations for FDI. So, it is imperative for the two nations to grab the emerging opportunities," he said. Lu is leading to India a high-powered business delegation from the Council for Promoting South-South Cooperation (CPSSC). The delegation comprises representatives from diverse sectors such as finance, investment, railway construction, power generation, electronic products, project coordination, real estate, waste management, commerce, medical equipment, lighting, industrial cable, culture and education. The aim of the delegation members is to forge beneficial partnerships with their Indian counterparts, the former minister said. Lu said he hopes that the business to business sessions organised between Indian and Chinese industry leaders would yield fruitful partnerships. 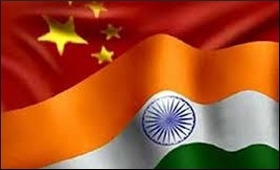 Liu Jinsong, Minister Counsellor and Deputy Chief of Mission in the Chinese Embassy, said the issue of trade deficit between India and China needs to be addressed and therefore, promoting business, trade and investment is necessary between the two countries. The bilateral trade between India and China crossed $70 billion during 2015-16, while India's trade deficit with China stood at $53 billion. Of the total $288.51 billion FDI equity inflows that India received during April 2000-March 2016, China contributed $1.36 billion.